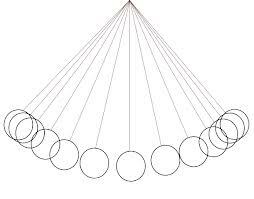 Our minds are like a pendulum. At rest, the mind is centered, weighted/grounded, motionless, peaceful. When the fluctuations of the mind begin to stir, they sway back and forth between past and future events. When the mind is very agitated, it tends to take longer and longer journeys away from its center. For some, those journeys into future-based anxiety and past-based dwelling, can be far apart in time. For others, the mind travels greater distances within a day, maybe even multiple times within one day or within a matter of minutes – rarely pausing. Part of the practice of cultivating a sense of stability and ease within the mind is to train it to stay closer to its center, while allowing it to journey back and forth within limits that serve you in your growth and development. What is anxiety? What does it serve? Why is it so prevalent? What are we to do about it? How do we help ourselves and others when anxiety, in disproportion to what’s actually happening in reality, looms. After an 8 hour shift of crisis counselling, with 4 high priority clients whose anxiety had risen to a level of creating dysfunction and suicidal ideation, I found myself sitting at home asking myself all of the questions above. When you really think about the adverse impact that our own sense of chaos can have on our health and happiness, it really makes you wonder what the point of it all is. From an outsiders perspective, heightened distress can be transparently useless… or useful, depending on how you look at it and understand the underlying purpose that it can and does serve. When you’re the one who is feeling anxious, however, it doesn’t matter how much awareness you have about the irrationality of your thoughts, you end up feeling lost, panicky, and foggy. Over time, we learn to deepen the awareness and prevent the anxiety before it takes over. If you were to externalize your anxiety (whether it be mild, moderate, severe, extreme) and write a letter to this infamous Mr. Irrational Stressy-Pants and make a request, what would you say? Hey Mr. I. S.-P., can you cool it? Dear Mr. I., I would really appreciate it if you would stop exaggerating and creating drama in my life. Dear I. man, you aren’t making any sense. Can you please give me some space? Stressy-Pants: this isn’t helping the situation. Can you please talk to Mr. Rational Happy-Go-Lucky? Or… would you soothe your Mr. Anxiety, but telling him (not sure why it’s a him) that everything is going to be ok? You don’t have to freak out, I am right here for you and can take care of it. There isn’t anything to worry about. What if… what? There is no “what if”, there’s only “what now”. Let’s look at some of the possible functions anxiety does and can serve. Within a healthy experience of it, it can get us moving and shaking stagnant energy when change needs to happen. It can serve to motivate, fuel productive actions, and shift our direction. It can get us out of unsafe situations, inform us of our boundaries, and tell us to let go, quit complaining and do something about our circumstances. The thing is, in order for it to serve us well, we need to be connected with the signals of our bodies and at peace with who we are, just as we are in this present moment. We need to cultivate a state of mind that doesn’t deviate too far away from the here and now. Just like the analogy of the pendulum. Anxiety also serves to relieve guilt. When I am late for a meeting by my own procrastinating ways, it’s easier to be stressed and dramatic about all the rushing around and apologizing for my tardiness because of how “stressed” I am than it is to stroll into a meeting late with ease. In other words, on a mild level, it protects the ego from looking bad. Are you a perfectionist? If yes, think about the purpose that anxiety serves in maintaining your patterns of needing to always do everything right, or else… Or else what? Rejection? Humiliation? Shame? Those only exist on an experiential level if you allow them to. How about pure habit and comfort level? If it’s in your history to have been under a lot of distress as a child, the anxiety might just be comfortable. In that “I like what is familiar” kind of way. In more extreme cases, think about how fascinating the human nervous system is. We are animals. We, like any other species, is concerned with survival. In our most vulnerable moments, we seek protection from any threat – whether it be real or perceived. The nervous system eventually becomes trained to think, feel, and experience the world through a certain communication pattern. Integrating the mind and body and breath so they can communicate more effectively, allows us to re-educate your nervous system to understand the ways in which it can let go of what it no longer needs to protect us from. All this said, your anxiety always has a message. Let go, change, look at the situation honestly and wholeheartedly with kindness and respect toward yourself and those around you. Bring your pendulum of a mind back to its center so you can live more freely. Under stress, we tend to hold the breath at the end of the inhale. Instead, practice holding at the end of a long and complete exhale. Your nervous system will get the message.